Haley Newton, a loan officer with Starkey Mortgage in Sherman, said the first step in the buying process is not finding a house, rather it’s getting qualified for a home loan. Buyers need to first find out how much house they can afford and if they can actually purchase a home. What documents do buyers need to provide to get qualified and pre approved? qualification is typically the quick and easy initial step and approval is a more involved process. The qualification process starts with an application, which most lenders have available online, though Newton said buyers can call a lender or meet them in person to fill it out. After buyers fill out an application, which covers the buyers’ finances and history, the lenders will verify the information for preapproval and that requires the supporting documents. “Once they’re prequalified, we’ll give them a list of documents they need depending on their application,” Newton said. The list typically calls for pay stubs from the last 30 days, tax returns for the last two years, bank statements for the last two months, W-2s, IDs and Social Security cards. Jeremy Lewis, branch manager of Grayson Home Loans, said sometimes the lender may require divorce decrees and documentation to indicate other income depending on the buyers’ situation. After approval, Lewis said he usually gives the buyers a call, and they figure out a loan program that best fits the buyers. How much do buyers need for a down payment? Short answer: It depends on the loan. Lewis said the down payment is often the main concern for buyers, and it’s not a set amount. Depending on the loan type and what programs the buyers are eligible for, the down payment can be as little as zero down. 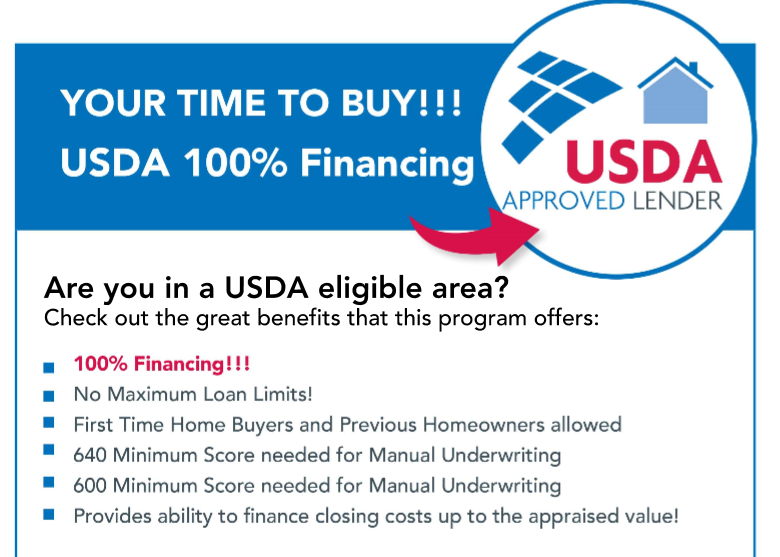 Loans from the Federal Housing Administration, Veteran Affairs and the U.S. Department of Agriculture each have a set of stipulations that include the percentage required for the down payment. Newton said there are down payment assistance programs in the state that can help cover the amount needed. These programs are income based and are capped anywhere from $55,000 to $75,000 depending on the program. What’s the deal with closing costs? In addition to a down payment, buyers also need funds to cover the closing costs. Lewis said the closing costs depend on the loan amount as a higher loan amount is going to cost more. About half the closing costs are directed to building the buyers’ escrow account, and the other half is a combination of fees for items such as the title and appraisal. Buyers can negotiate with the sellers and ask that the seller pays a portion of the closing costs, which if the buyers qualify for a down payment assistance program, the initial costs can be very low. “If you’re able to use the down payment assistance programs in addition to requesting the seller to pay some of their closing costs, they can actually get into a home with little to nothing down,” Newton said. “It kind of works like a separate checking account, and the purpose of that account is to pay the yearly tax bill that comes due every January, and their insurance premium that’s due once a year depending on when they closed on their home,” Newton said. The initial money put into the escrow account is part of the closing costs, and Lewis said homeowners then add to it monthly when they make their house payments. The account is for buyers to put back money so property taxes and insurance are covered. “Say when their tax bill comes due in January, there will be plenty of money in the account for them to pay their taxes, so that way they’re not coming up $2 to 3 to 5,000 all at once to pay their tax bill,” Newton said. Can buyers purchase a home with a bad credit score? Newton said buyers don’t necessarily need the best credit in order to get a home loan, and she noted that first-time home buyer programs have recently lowered their credit score requirements. Newton said lenders will work with buyers and give them steps to take over 60 to 90 days to boost their credit score to where they can buy a home. “It can be intimidating but we can walk them through it,” Newton said. Buyers should consult with local lenders, and Lewis said he guides buyers through the process so they know what to expect. Source: 2015 Welcome Home Program for Kentucky Home Buyers. Salary and Hourly Wages – Calculated on a gross monthly basis, prior to income tax deductions. Part-time and Second Job Income – Not usually considered unless it is in place for 12 to 24 straight months. Lenders view part-time income as a strong compensating factor. Commission, Bonus and Overtime Income – Can only be used if received for two previous years. Further, an employer must verify that it is likely to continue. A 24-month average figure is used. Retirement and Social Security Income – Must continue for at least three years into the future to be considered. If it is tax free, it can be grossed up to an equivalent gross monthly figure. Multiply the net amount by 1.20%. Alimony and Child Support Income – Must be received for the 12 previous months and continue for the next 36 months. Lenders will require a divorce decree and a court printout to verify on-time payments. Notes Receivable, Interest, Dividend and Trust Income – Proof of receiving funds for 12 previous months is required. Documentation showing income due for 3 more years is also necessary.Rental Income – Cannot come from a Primary Residence roommate. The only acceptable source is from an investment property. A lender will use 75% of the monthly rent and subtract ownership expenses. The Schedule E of a tax return is used to verify the figures. If a home rented recently, a copy of a current month-to-month lease is acceptable. Automobile Allowance and Expense Account Reimbursements – Verified with 2 years tax returns and reduced by actual expenses listed on the income tax return Schedule C.
Education Expense Reimbursements – Not considered income. Only viewed as slight compensating factor. Self Employment Income – Lenders are very careful in reviewing self-employed borrowers. Two years minimum ownership is necessary because two years is considered a representative sample. Lenders use a 2-year average monthly income figure from the Adjusted Gross Income on the tax returns. A lender may also add back additional income for depreciation and one-time capital expenses. Self-employed borrowers often have difficulty qualifying for a mortgage due to large expense write offs. A good solution to this challenge used to be the No Income Verification Loan, but there are very few of these available any more given the tightened lending standards in the current economy. NIV loan programs can be studied in the Mortgage Program section of the library. An applicant’s liabilities are reviewed for cash flow. Lenders need to make sure there is enough income for the proposed mortgage payment, after other revolving and installment debts are paid. All loans, leases, and credit cards are factored into the debt calculation. Utilities, insurance, food, clothing, schooling, etc. are not. If a loan has less than 10 months remaining, a lender will usually disregard it. The minimum monthly payment listed on a credit card bill is the figure used, not the payment made. An applicant who co-borrowed for a friend or relative is accountable for the payment. If the applicant can show 12 months of on-time cancelled checks from the co-borrowee, the debt will not count. Loans can be paid off to qualify for a mortgage, but credit cards sometimes cannot (varies by lender). The reasoning is that if the credit card is paid off, the credit line still exists and the borrower can run up debt after the loan is closed. A borrower with fewer liabilities is thought to demonstrate superior cash management skills. Most lenders require a residential merged credit report (RMCR) from the 3 main credit bureaus: Trans Union, Equifax, and Experian. They will order one report which is a blending of all three credit bureaus and is easier to read than the individual reports. This “blended” credit report also searches public records for liens, judgments, bankruptcies and foreclosures. See our credit report index. Credit report in hand, an underwriter studies the applicant’s credit to determine the likelihood of receiving an on-time mortgage payment. Many studies have shown that past performance is a reflection of future expectations. Hence, most lenders now use a national credit scoring system, typically the FICO score, to evaluate credit risk. If you’re worried about credit scoring see our articles on it. The mortgage lending process, once very forgiving, has tightened lending standards considerably. A person with excellent credit, good stability, and sufficient documentable income to make the payments comfortably will usually qualify for an “A” paper loan. “A Paper”, or conforming loans, make up the majority of loans in the U.S. and are loans that must conform to the guidelines set by Fannie Mae or Freddie Mac in order to be saleable by the lender. Such loans must meet established and strict requirements regarding maximum loan amount, downpayment amount, borrower income and credit requirements and suitable properties. Loans that do not meet the credit and/or income requirements of conforming “A-paper” loans are known as non-conforming loans and are often referred to as “B”, “C” and “D” paper loans depending on the borrower’s credit history and financial capacity. 12 plus months positive credit will usually equal an A paperloan program, depending on the overall credit. FHA loans usually follow this guideline more often than conventional loans. Unpaidcollections, judgments and charge offs must be paid prior to closing an A paper loan. The only exception is if the debt was due to the death of a primary wage earner, or the bill was a medical expense. If a borrower has negotiated an acceptable payment plan, and has made on time payments for 6 to 12 months, a lender may not require a debt to be paid off prior to closing. Credit items usually are reported for 7 years. Bankruptcies expire after 10 years. Foreclosure – 5 years from the completion date. From the fifth to seventh year following the foreclosure completion date, the purchase of a principal residence is permitted with a minimum 10% down and 680 FICO score. The purchase of a second or investment property is not permitted for 7 years. Limited cash out refinances are permitted for all occupancy types. 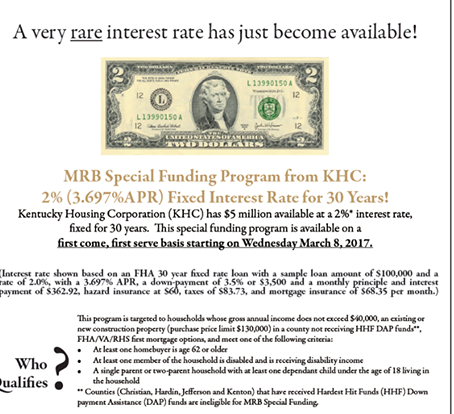 Pre-foreclosure (Short Sale) – 2 years from the completion date (no exceptions or extenuating circumstances). Deed-in-Lieu of Foreclosure – 4 year period from the date the deed-in-lieu is executed. 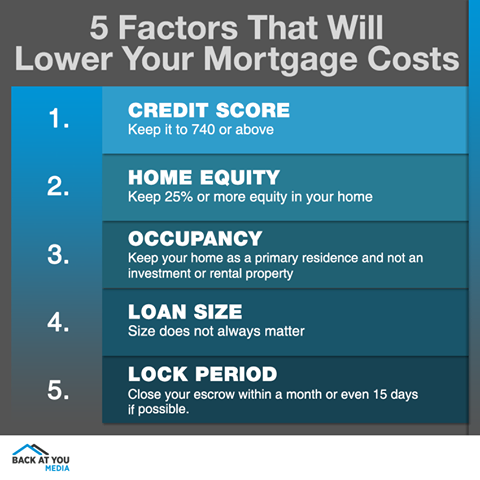 From the fifth to the seventh year following the execution date the borrower may purchase a property secured by a principal residence, second home or investment property with the greater of 10 percent minimum down payment or the minimum down payment required for the transaction. Limited cash out and cash out refinance transactions secured by a principal residence, second home or investment property are permitted pursuant to the eligibility requirements in effect at that time. Chapter 7 Bankruptcy – A borrower is eligible for an A paper loan program 4 years after discharge or dismissal, provided they have reestablished credit and have maintained perfect credit after the bankruptcy. 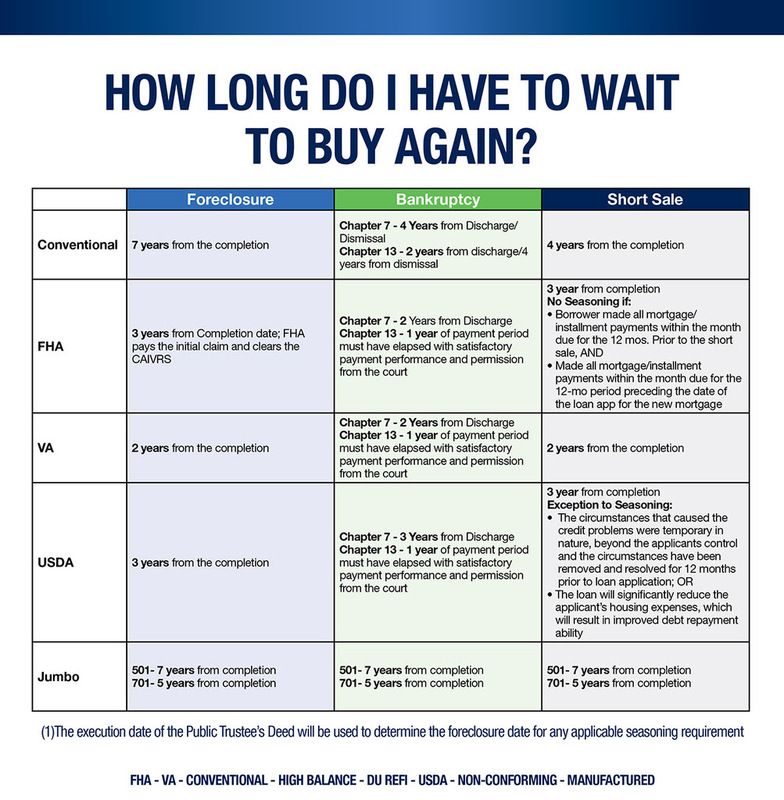 Chapter 13 Bankruptcy – 2 years from the discharge date or 4 years from the dismissal date. Multiple Bankruptcies- 5 years from the most recent dismissal or discharge date for borrowers with more than one filing in the past 7 years. The good credit of a co-borrowerdoes not offset the bad credit of a borrower. Credit scores usually range from 400 to 800. Changes to lending standards are occurring on a daily basis as a result of tightening lending standards, and can vary from lender-to-lender– so this information should be considered simply a guideline. For conforming loans, most lenders will lend down to a FICO of 620, with additional rate hits for the lower-end credit scores and loan-to-values. When you are borrowing more than 80%, they typically will not lend if you have a FICO below 680. 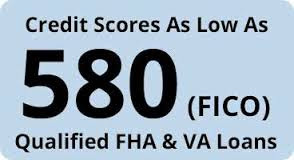 The FHA/VA program just changed their minimum required FICO to 620, unless you are qualifying a borrower with non-traditional credit. The few non-conforming loan programs that are still available typically require 30% down payment with a minimum FICO of 700 for self-employed and 650 for W-2 employees, and the loan-to-value will change with the loan amount. Lenders evaluate savings for three reasons. The more money a borrower has after closing, the greater the probability of on-time payments. Most loan programs require a minimum borrower contribution. Lenders want to know that people have invested their own into the house, making it less likely that they will walk away from their life’s savings. They analyze savings documents to insure the applicant did not borrow the funds or receive a gift. Checking and Savings – 90 days seasoning in a bank account is required for these funds.Gifts and Grants – After a borrower’s minimum contribution, a gifts or grant is permitted. Sale of Assets – Personal property can be sold for the required contribution. The property should be appraised and a bill of sale is required. Also, a copy of the received check and a deposit slip are needed. Secured Loans – A loan secured by property is also an acceptable source of closing funds. IRA, 401K, Keogh & SEP – Any amount that can be accessed is an acceptable source of funds. Sweat Equity and Cash On Hand – Generally not acceptable. FHA programsallow it in special circumstances. Sale Of Previous Home – Must close prior to new home for the funds to be used. A lender will ask for a listing contract, sales contract, or HUD 1 closing statement. The percentage of one’s debt to income is one of the most important factors when underwriting a loan. Lenders have determined that a house payment should not exceed approximately 30% of Gross Monthly Income. Gross Monthly Income is income before taxes are taken out. Furthermore, a house payment plus minimum monthly revolving and installment debt should be less than 40% of Gross Monthly Income (this figure varies from 35%-41% contingent on the source of financing). Remember, their total debts (mortgage plus other debts) must be less than or equal to 40% of their gross monthly income. $1800 is the maximum debt the borrower can have, debts and mortgage payments combined. Can the borrower keep all their debts and have the maximum mortgage payment allowed? NO! $1975 – which is more than the $1800 (40% of gross debt) we calculated above. $1800 – $625 (monthly debt) = $1175. When your down payment is less than 20% you usually have to pay for Private Mortgage Insurance (PMI). This protects the lender in case you don’t make your house payments. This doesn’t mean you can blow off making your house payments — if you fail to pay, the bank will still repossess your house. The insurance company will pay the bank the difference between 20% and the amount you actually put down. If you put down 5% and default, the insurance company pays the bank the other 15% that you didn’t pay. So the bank gets protected and you get to pay for their protection.What’s in it for you? What’s in it for you is that you get to buy a home for less than 20% down! Used to be that banks wouldn’t give you a loan under any circumstances unless you made a large down payment because they felt it was too risky. But now with PMI, banks will take loans with very low down payments, sometimes even 0% down. That makes it much easier for you to get into a home. There’s no PMI on VA (veterans) loans, which is a nice bonus if you qualify for one of these. You don’t shop for PMI. If your lender requires it, they’ll choose it and add it automatically. The PMI premium is paid monthly as part of your mortgage payment. The smaller your down payment, the more expensive the PMI is. My PMI Calculator will give you a good estimate. Another way to do it is to divide the loan amount by 1300, 1500, 2300, or 3700 for loans with down payments of 3%, 5%, 10%, or 15% respectively. For example, let’s say you buy a $200,000 home and put 5% down. Your down payment is $10,000 and the morgtage is $190,000. Divide the $190,000 mortgage by 1500 and you get your monthly PMI cost, $127. The answer is that because of how mortgage interest works, most of your payments in the early years goes to interest, not paying down your loan. On a 30-year loan of $100k at 7%, the payment is $665/mo., but when you make the first payment, a whopping $583 goes to interest, and a mere $82 goes towards owning the home. On 15-year loans a much higher percentage goes towards the home itself, which is why 15-year mortgages are a better deal if you can get them — and why you should try to pay off your loan in 15 years anyway if you can’t. There’s more on this in our section about paying off a loan early. But let’s get back to PMI and canceling it. Of course, you don’t have to wait for the automatic cancellation at 22%. You can write to the insurance company and ask them to cancel your PMI coverage as soon as you hit 20% equity. And here’s one more thing you can do: If your house has increased in value then you suddenly own a lot more of it, and you can cancel your PMI even earlier. For example, let’s say you put $5,000 down on a $100,000 home, and in a couple of years the value shoots up to $119,000 because it’s a hot real estate market. You own the $5000 you put into the house, plus the $19,000 it increased, for a total of $24,000. (You also own the equity you built from making mortgage payments, but because of how mortgage interest works, most of your payments for the first few years goes to interest and not principal, so we’ll ignore paid equity for our example.) So the $24,000 you own divided by the $119,000 value of the home means you own over 20% of your home. So you don’t need PMI any more. But to cancel the PMI you’ll need to convince the lender that your home is really worth $119,000 now, so you’ll have to pay for an appraisal which might run $400 or so. You’ll have to weigh the cost of the appraisal against the amount you’ll save by canceling PMI early to see if it’s a good deal for you. Don’t assume your PMI will be canceled automatically. Check this table.